Lionsgate Unveil A New Poster for 'THE HUNGER GAMES' Via 100 Piece Puzzle! 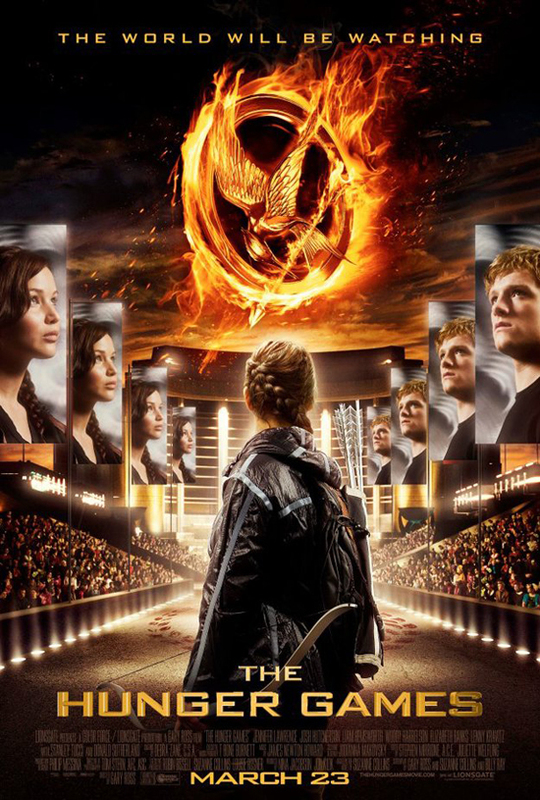 Liongate's adaptation of Suzanne Collins The Hunger Games arrives 100 days from now. To celebrate the occasion, the studios unveiled a new poster for the movie by giving 100 sites 100 different puzzle pieces to debut today. Well we have the collated final poster here. Directed by Gary Ross the adaption stars Jennifer Lawrence, Josh Hutcherson, Liam Hemsworth, Wes Bentley, Elizabeth Banks, Dayo Okeniyi, Amandla Stenberg, Jack Quaid, Leven Rambin, Willow Shields, Paula Malcomson, Ian Nelson, Kalia Prescott, Ethan Jamieson, Tara Macken, Chris Mark, Jacqueline Emerson, Ashton Moio, Kara Petersen, Sam Ly, Leigha Hancock, Samuel Tan, Mackenzie Lintz, Imanol Yepez-Frias, Annie Thurman, Stanley Tucci, Woody Harrelson, Latarsha Rose, Brooke Bundy, Lenny Kravitz, Toby Jones, Amber Chaney, Kimiko Gelman, Nelson Ascencio & Donald Sutherland. The Hunger Games arrives March 23rd 2012. I'm reading: Lionsgate Unveil A New Poster for 'THE HUNGER GAMES' Via 100 Piece Puzzle!Tweet this!